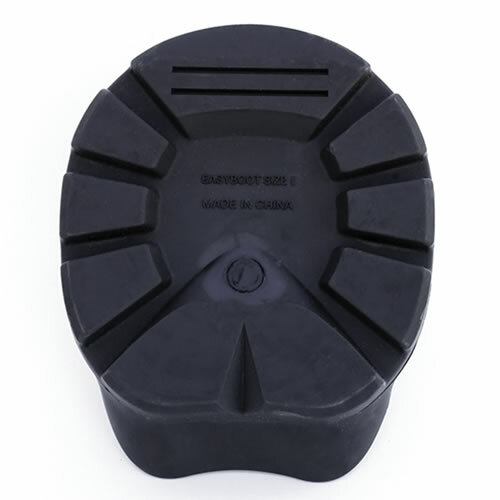 The revolutionary new Easyboot Glue On is the very latest in form-fitting technology in hoof boots for barefoot horses. 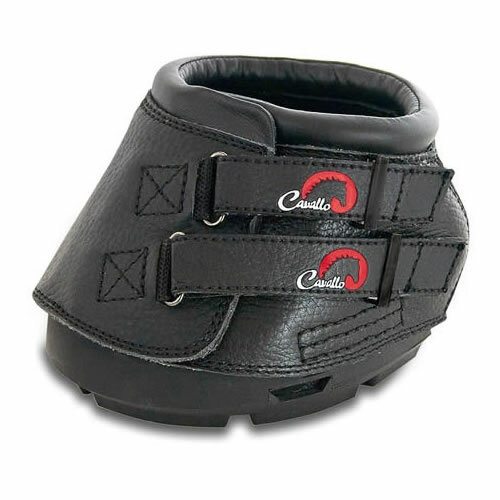 The Glue On is the closest option to totally bare hooves, and is designed mainly for competitive riding where maximum natural performance of the hoof capsule is needed without the danger of gaining rubs or loosing a boot along the way. 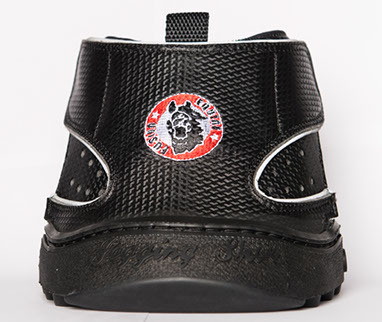 The Glue On is a very precisely fitting hoof boot that offers a seamless fit and hugs the hoof. 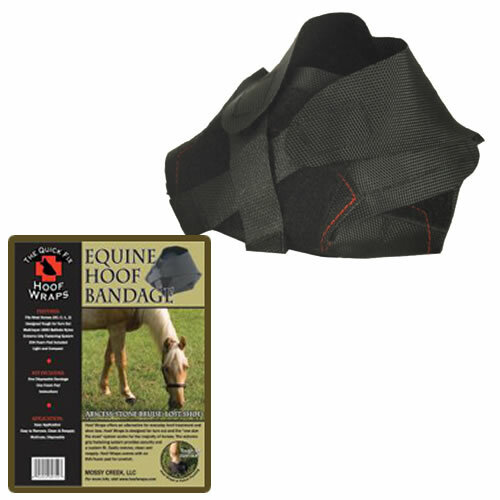 This Glue On hoof boot is similar to the glove, responding like a natural foot and is flexible and tough, giving the horse added traction and protection to the sole while allowing a free stride and breakover. 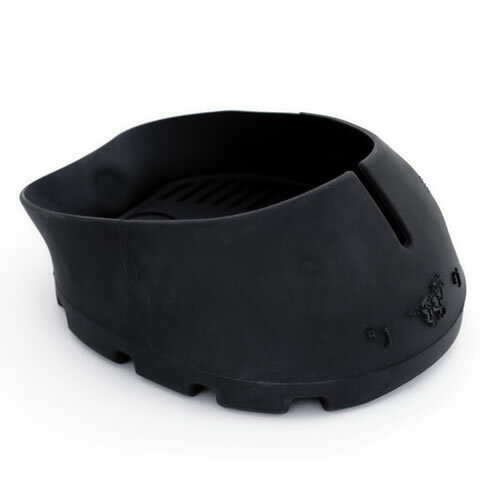 The Easyboot Glue On provides protection without stifling mobility, just like a glove on a riders hand. 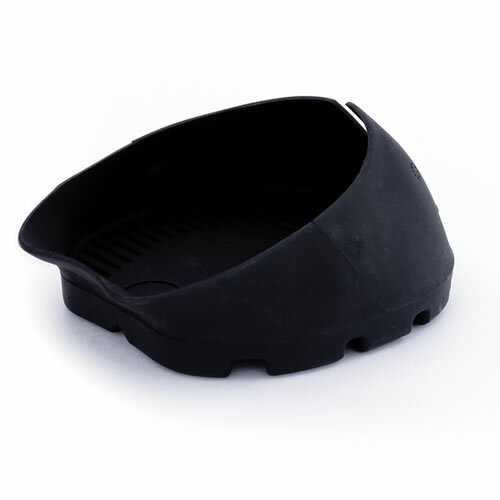 The Easyboot Glue On hoof boot stretches over the hoof and clings to the wall like a second skin which helps to prevent debris from entering even in sandy or muddy conditions. The Glue On is unique in having no external fixings to come undone or get clogged up with grass and mud. 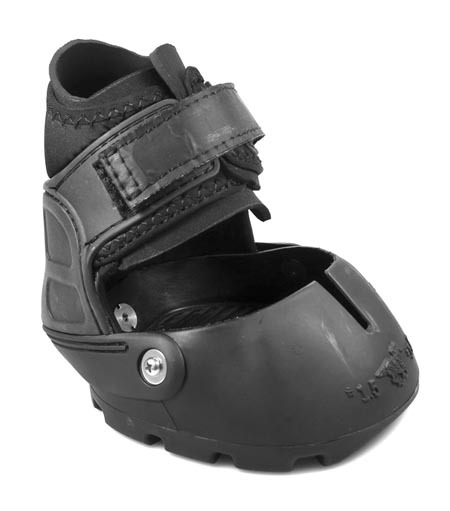 This Easycare boot is sold singly and in 1/2 sizes. It is very important for this boot to fit precisely, so will not fit every hoof shape and size hoof. Please note: These boots are meant to be disposable, used once or twice and then thrown away. Glue left on the inside of the boot may affect performance. Please note: we do not recommend using glue on shells to make your own boot as incorrect hole making can lead to lost or broken boots/gaiters which we cannot cover under warranty as the shells have been altered.